High school rodeo will return to Pahrump on Feb. 22-24 at McCullough Arena, and tickets will be available Saturday. Tom Rysinski/Pahrump Valley Times Tickets will be available 8 a.m. to 2 p.m. Saturday at Walmart for a junior high/high school rodeo hosted by the Pahrump High School rodeo club. Members of the Pahrump Valley High School rodeo club will be at Walmart from 8 a.m. to 2 p.m. Saturday selling tickets to the event, the first on the high school rodeo calendar since before Thanksgiving. 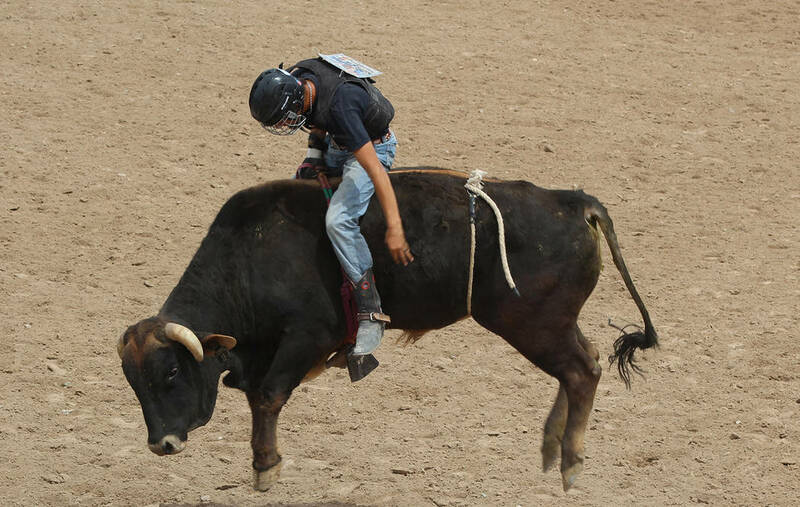 Pahrump hosted a rodeo last February during the first season the rodeo club was revived. Battle Mountain, White Pine, Elko, Spanish Springs, Alamo and Boulder City already have hosted rodeos this season, with Fernley, Moapa, Fallon, Washoe, Douglas-Carson, Humboldt and Wells on the schedule before the state championships. A total of $8,250 in prize money will be available to the competitors, with $75 for first place, $50 for second and $25 for third in every event.